For more than four decades, Shalimar Farm has been home for many horses, from boarders to our own equine family. 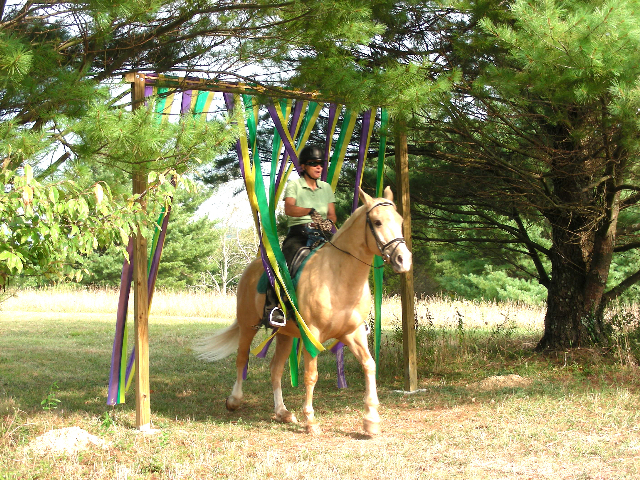 We have developed a relaxing atmosphere for horses and riders. 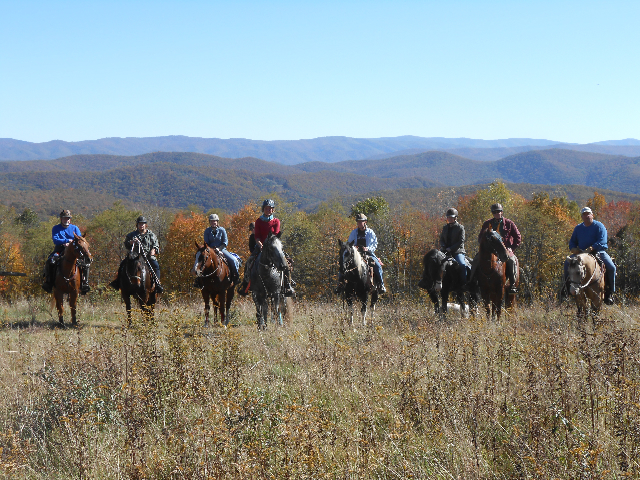 Shalimar has miles of well maintained, marked trails, assuring comfort and safety for horse and rider. Detailed maps are provided. 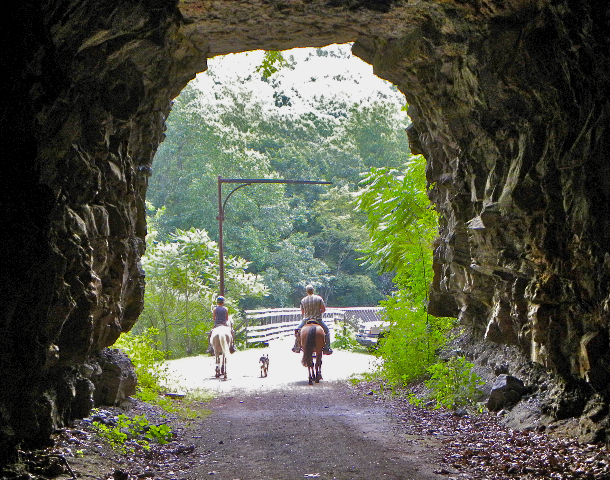 The Greenbrier River Trail is a short ride over the hill from Shalimar, and passes through the abandoned C&O tunnel and over the Greenbrier River on a high bridge. 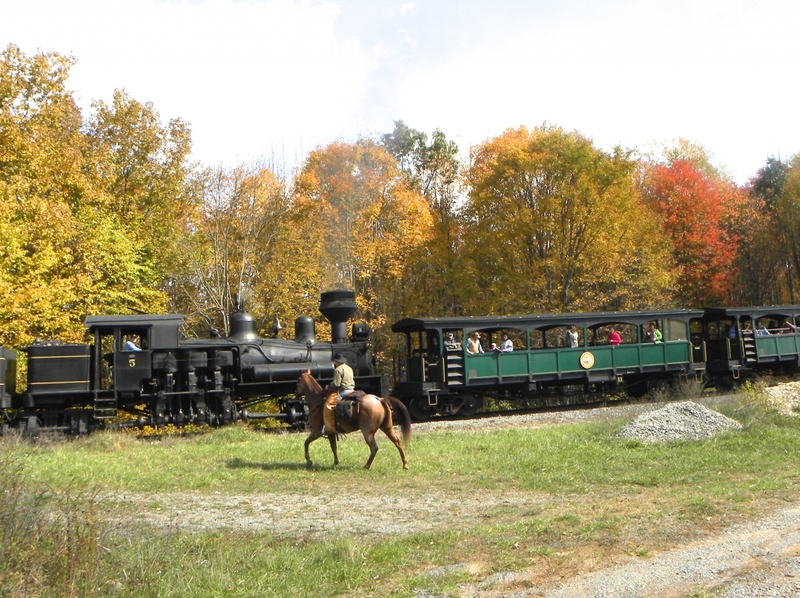 It's 25 miles to the county seat of Marlinton. 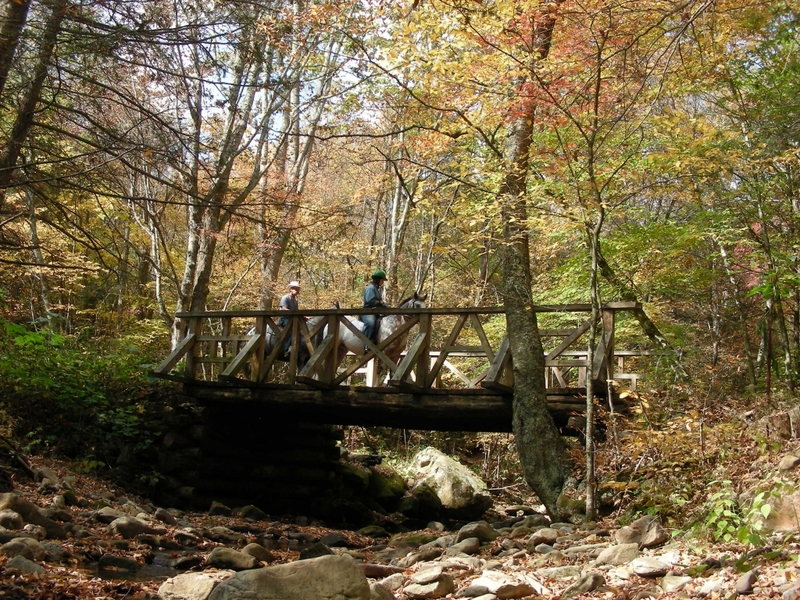 The Monongahela National Forest surrounds the property and offers miles of riding on former logging roads. 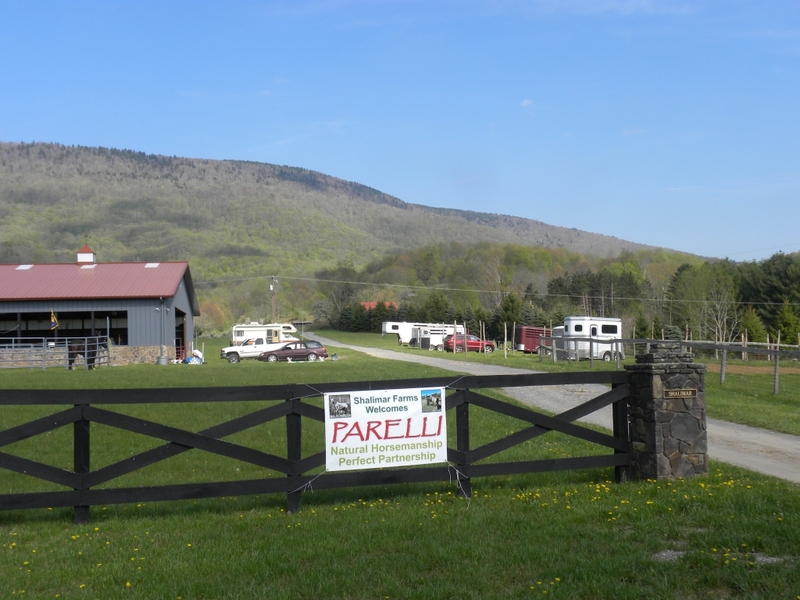 A covered arena, 72’ x 135’ is available at no charge for guests. We also have an obstacle course. 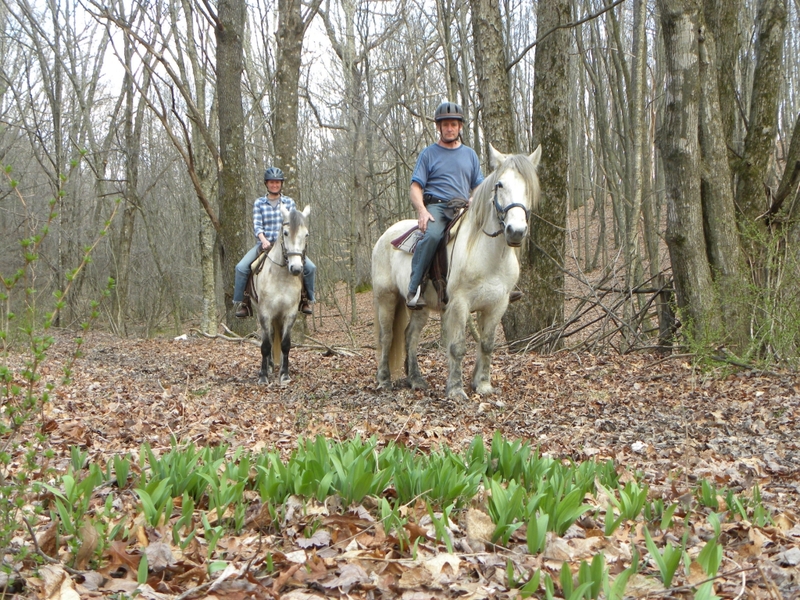 Pastures are large and can accommodate several horses. 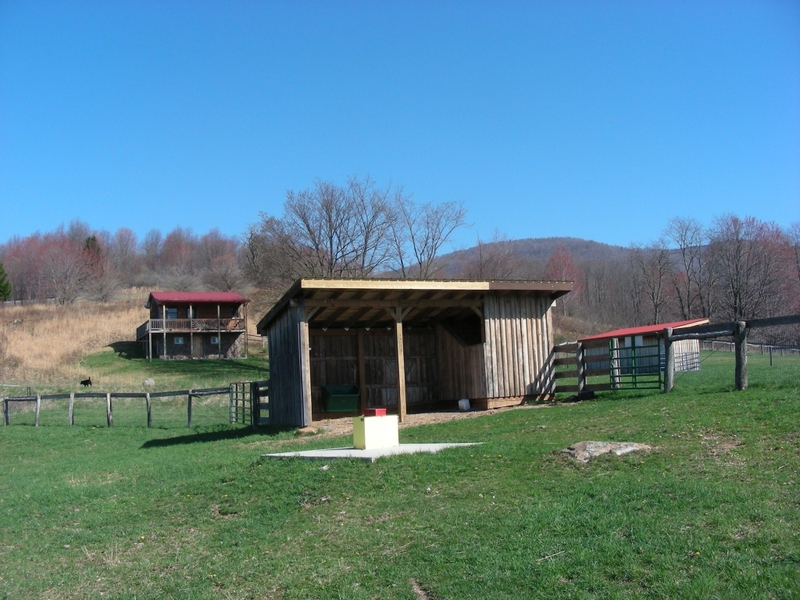 Pastures are in close proximity to lodging facilities, and feature run-in sheds. Fencing is either 2"x4" wire mesh or post-and-rail, and every pasture has an automatic waterer and hydrant for hosing down after a day in the saddle. Horses are required to have current vaccinations for influenza, tetanus and encephalomyelitis in addition to a negative Coggins test within the past twelve months. Rabies vaccinations are required along with the routine shots. Before unloading, guests will provide proof of vaccines and current (one year) Coggins test. Deer flies can be a problem so bring fly spray. 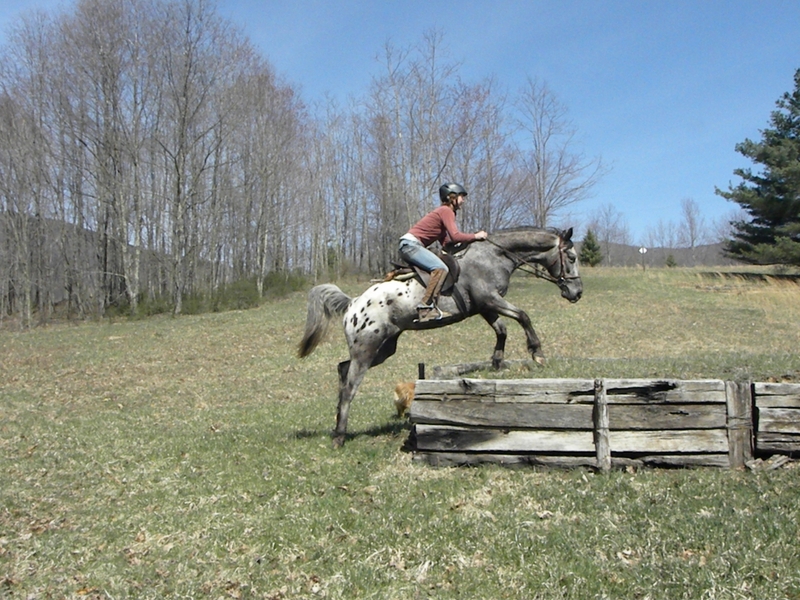 Riders are required to wear approved safety helmets when mounted on a horse. Riders are also required to read and sign a waiver upon arrival as per insurance company policy. No children under twelve. No pets unless prior arrangements have been approved by Shalimar. Alcoholic beverages, in moderation, are permitted only in the cabins. Please note: cell phones do not work in this area. 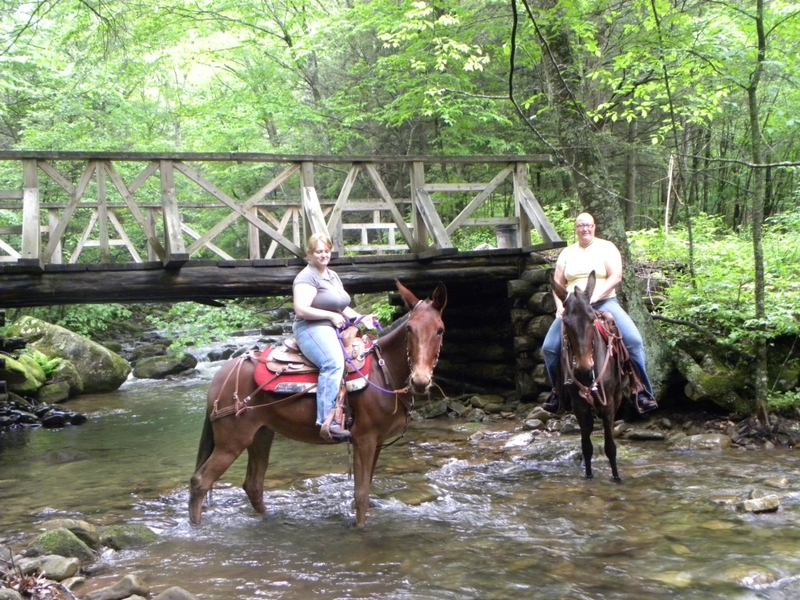 Contact Us for more information and to book a reservation for you and your horse.